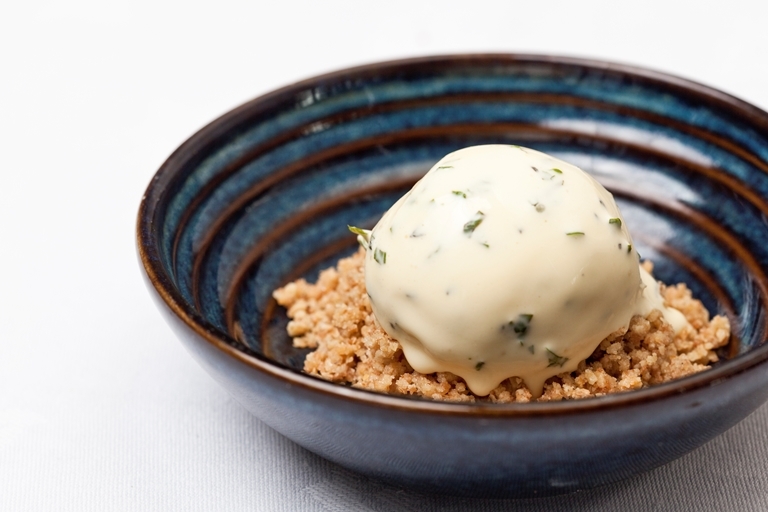 In Galton Blackiston's ice cream recipe, the cold treat gets an exciting twist with the addition of lemon thyme and zesty mint - a beautiful and surprising way to round off an al-fresco, summery meal. This lovely ice cream could also be used in-between courses as a novel palate cleanser. Alternatively, sprinkle it with high-quality shop-bought granola or scoop over crushed biscuits.